Despite the people predominantly talking about actor Rajinikanth’s political entry, fans are gearing up for his upcoming film, Kaala, to hit screens on April 27. Produced by Dhanush under his Wunderbar Films banner with music by Santhosh Narayanan, Kaala’s post-production is at present being carried out in full swing by director Pa. Ranjith. 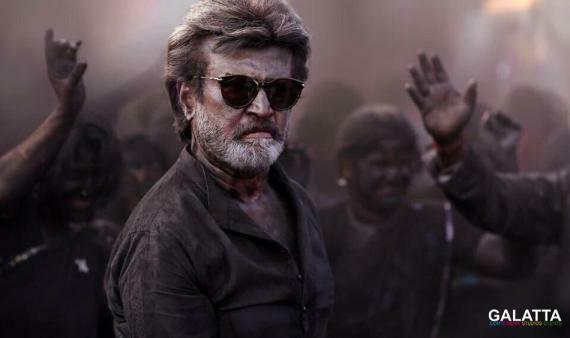 Kaala will mark 'Superstar' Rajinikanth’s first film of 2018 apart from his sci-fi action thriller, 2.0, which has been postponed indefinitely for now. As for Kaala, fans are now debating when the first visuals from the film will come out and it looks like the makers are eyeing the March 10 date to unveil the teaser. Although an official statement is awaited, the said date would be apt considering there will be a month’s gap before the film comes out in theatres. By the time Kaala arrives on the big screen, Dhanush, Pa. Ranjith and Rajinikanth could even drop a trailer as an additional bonus treat or just keep the promotions steady in the same manner as Kabali, which only had a teaser unveiled. Meanwhile, Demonte Colony composer Keba Jeremiah, who is a reputed guitarist has lent support on the guitars for a couple of songs in Kaala and Pa. Ranjith’s production venture, Pariyerum Perumal and the news was revealed on his Twitter page. Furthermore, he tweeted his praises to singer Vijay Prakash for his song in Kaala and conveyed his birthday wishes. Happy Birthday @rvijayprakash !!! Just heard a track that you had sung for @Music_Santhosh !!! Sounded crazy good !!! Wishing you a great day and an amazing year ahead of you !!! Based on the rate of speed the post-production work is being carried out in Kaala, we can expect a ripper of a film when it comes out in April.